"I lost my way for a long time, but now… I have a chance to change things." You can alter the course of the galaxy. How will you try to change it? 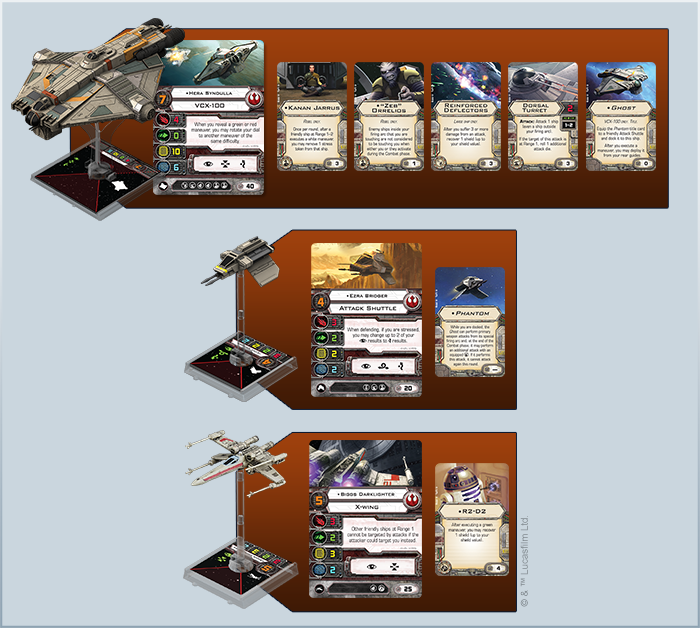 All six X-Wing™ Wave VIII starship expansions are now available at retailers throughout the United States. Availability in other regions may vary. 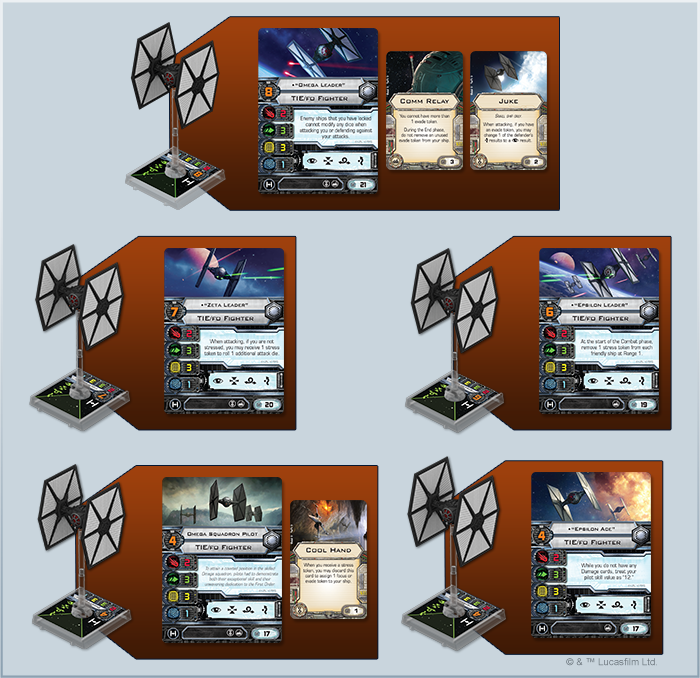 From left to right: the Phantom and Ghost from the Ghost Expansion Pack, T-70 X-wing, TIE/fo fighter, TIE Advanced prototype, Punishing One, and Mist Hunter. 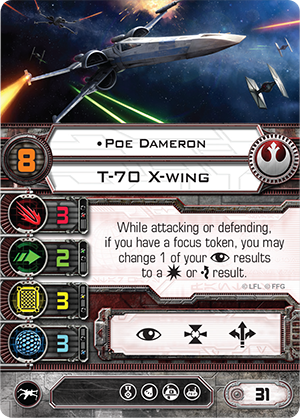 The T-70 X-wing Expansion Pack and TIE/fo Fighter Expansion pack have been in stores since just before the release of The Force Awakens, and they have already made a significant impact upon the ever-evolving metagame. 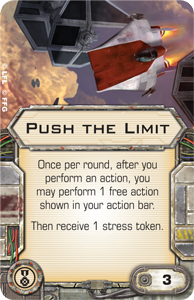 We have seen the T-70 X-wing flown at the game's very highest levels, and we have seen an increasing number of players experiment with the TIE/fo fighter, utilizing it in swarms or flying its unique aces in more specialized squadrons. Now, we welcome a handful of Lothal Rebels, the Inquisitor, and some of the galaxy's deadliest bounty hunters to the Star Wars galaxy's ongoing space battles. 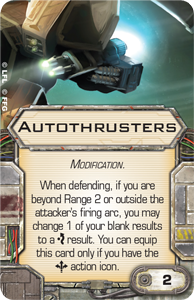 How will they alter the course of your dogfights? 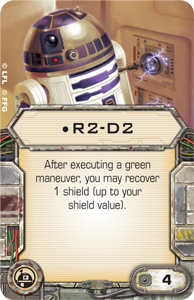 How much of an impact will they have upon the course of the galaxy? "We have hope; hope that things can get better. And they will." 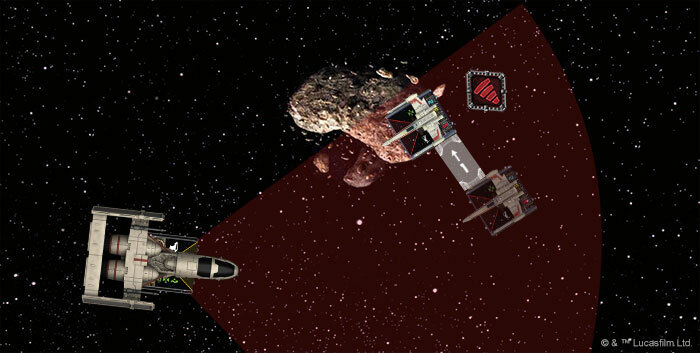 As much as X-Wing is a game of thrilling dogfights, it is also a game of the imagination. 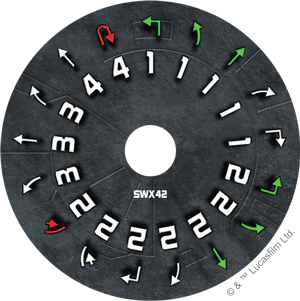 By allowing you to change the different ship and upgrade cards that go with your miniature starfighters, X-Wing makes it easy for you to experiment with different pilots and their abilities. The game's flexible squad-building rules encourage experimentation. 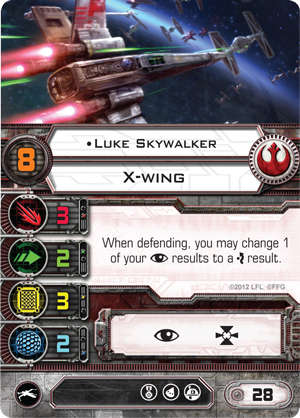 In the end, X-Wing is a game of nearly infinite possibilities, all set within the Star Wars universe. You can keep things simple by sticking to such classic combinations as Luke Skywalker and R2-D2 or Poe Dameron and BB-8 . Or you can imagine what would happen if you brought together characters from different eras and story arcs, perhaps adding Hera Syndulla to Han Solo's Millennium Falcon or Agent Kallus to the high-tech TIE phantom flown by "Whisper." 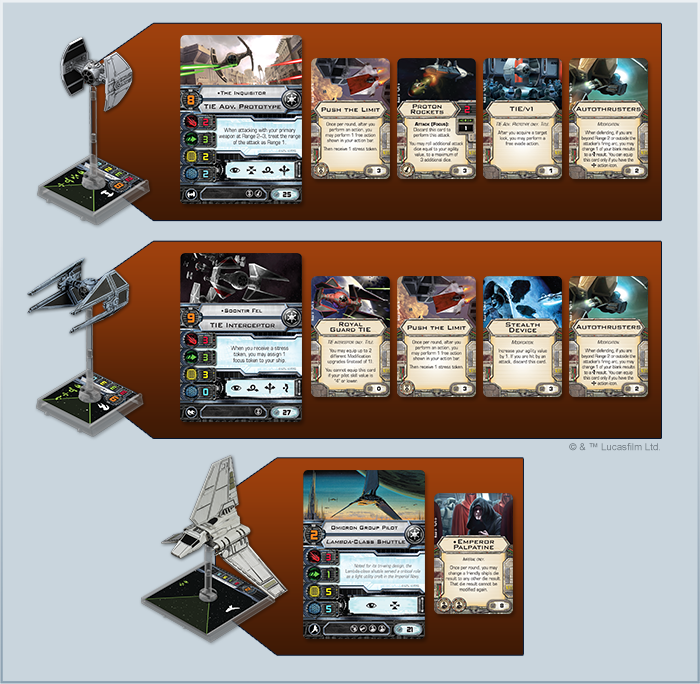 Whatever squad you think might suit your taste, X-Wing makes it easy for you to assemble it and try it on the table. Each new expansion adds to the possibilities, and with its six expansions, Wave VIII dramatically broadens your horizons. What will you try? 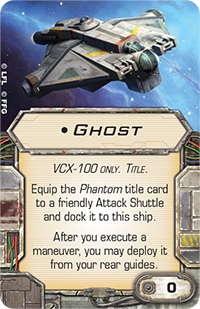 Will you fly with the Ghost and the protagonists of the hit Star Wars Rebels television show? 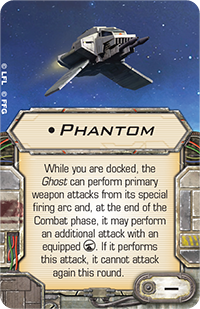 By offering both the Ghost and the Phantom , as well as pilot and crew versions of each of the show's six core protagonists, the Ghost Expansion Pack allows you to immerse yourself fully in the show's narratives, even as you fend off swarms of TIE fighters. Will you stock up on the wave's fantastic new array of weapons as you pursue your bounty across the galaxy? 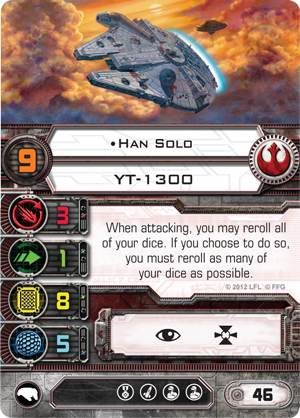 You can find all manner of new tricks in the Mist Hunter and Punishing One expansions, including the highly anticipated Tractor Beam , a new Cloaking Device , World Champion Paul Heaver's Boba Fett crew upgrade, and the game's first asymmetric maneuver dial , which comes complete with a white Segnor's Loop. 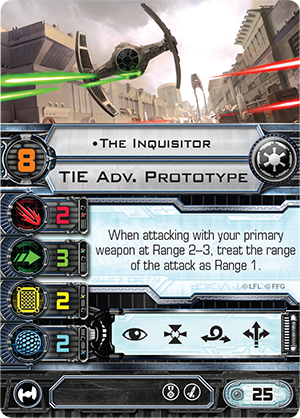 Will you experiment with the Inquisitor and his TIE Advanced prototype in new variations on the popular Emperor and Aces builds? 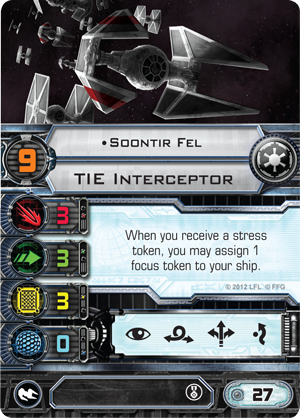 With the TIE/v1 , Proton Rockets , Push the Limit , and Autothrusters , The Inquisitor can make a potent addition to any list featuring Soontir Fel and Emperor Palpatine aboard a Lambda-class Shuttle. 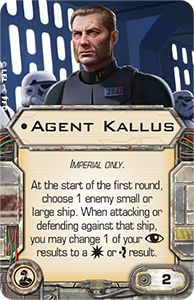 Will you enact new battles between the forces of the First Order and the Resistance? 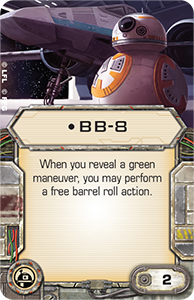 Although the T-70 X-wing Expansion Pack and TIE/fo Fighter Expansion Pack were released earlier, they remain an important part of Wave VIII and what it suggests for the exciting future of X-Wing. 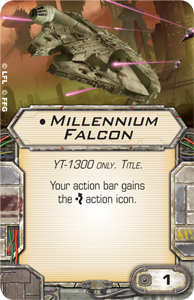 Whether you hope to fight alongside the First Order, fly with the crew of the Ghost, or build squads that include the greatest pilots from Star Wars past and present, the ships and pilots from Wave VIII add exciting new options to your X-Wing squad-builds and all your Star Wars dogfights. In "Lothal Rebels, Part One" and "Lothal Rebels, Part Two," we looked at how the Ghost Expansion Pack gives life to the protagonists from Star Wars Rebels. 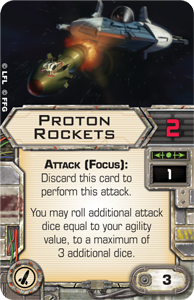 We also looked at how it makes an excellent second purchase for any player looking to go beyond the Core Set's dogfights into the full, 100-point squad-based dogfights of the advanced game. 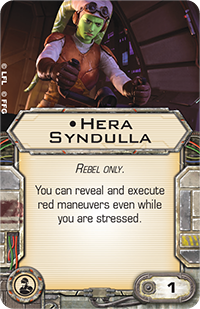 Of course, the Lothal Rebels are not the only characters from Star Wars Rebels to make their X-Wing debuts in Wave VIII, and we took a look at their deadly nemesis, the Inquisitor, in the preview of his TIE Advanced prototype, "Hunted by the Inquisitor." 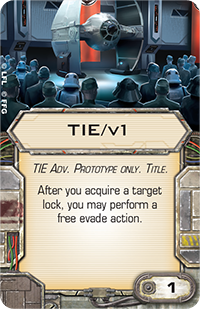 Meanwhile, even as the Ghost Expansion Pack and Inquisitor's TIE Expansion Pack allow you to fly with heroes and villains who predate A New Hope, the T-70 X-wing Expansion Pack and TIE/fo Fighter Expansion Pack allow you to jump into the game amid the battles between the Resistance and the First Order. 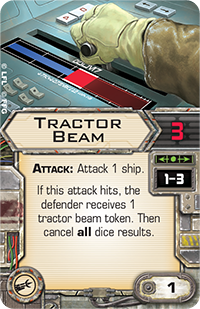 We took a look at some of the more thematic ways you might bring these ships to your table in the article, "See the Movie. Fly the Ships." 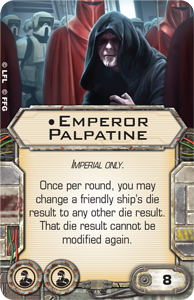 Last, but definitely not least, we are going to see the Scum faction grow significantly with the release of two new starship expansions, the Mist Hunter Expansion Pack and the Punishing One Expansion Pack. 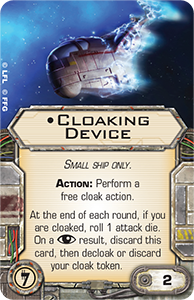 With their pilots, weapons, and upgrades, these ships reinforce the idea that the Scum faction is and will remain the most treacherous and idiosyncratic faction in the game. 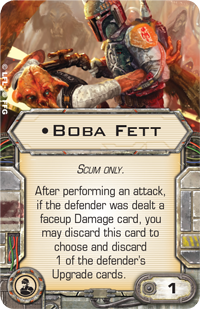 We explored what each of these expansions has to offer in the articles, "Tricks, Traps, and Tractor Beams," "Payback," and "Boba Fett." Take your next step into the Star Wars galaxy, or launch your games into hyperspace. 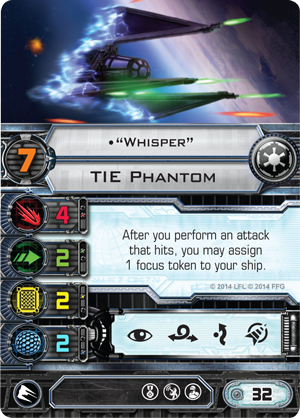 No matter your level, the starships of Wave VIII are bound to enhance your X-Wing experience. Head to your local retailer to pick up your copies today!